Is Apple Happy With Their iPhone 7 Launch Amidst Samsung Woes On Galaxy Note 7 Explosion Defect? Home » Phones » Is Apple Happy With Their iPhone 7 Launch Amidst Samsung Woes On Galaxy Note 7 Explosion Defect? Articles : Is Apple Happy With Their iPhone 7 Launch Amidst Samsung Woes On Galaxy Note 7 Explosion Defect? full Link : Is Apple Happy With Their iPhone 7 Launch Amidst Samsung Woes On Galaxy Note 7 Explosion Defect? The smartphone wars between the two largest phone makers (Apple and Samsung) in the world took a different dimension in this year’s launching of their flagship devices. 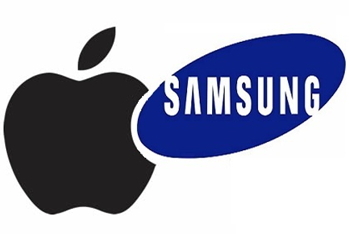 The war between Apple and Samsung is mainly on whom to capture the mobile market more with their new and annually released flagship devices; as the more consumers’ sorts for their products, the better it is for their business capitalization and increase in shares. A battle between Samsung best product and that of Apple often garner much attention because both OEM are known to be the biggest players in the mobile industry and you might not have erred if you tend to see is as fight between two gladiators or the El-Classico if you liken it to the game of football. And this year was meant to be a fight between the two company’s flagship devices, i.e. a battle between Samsung Galaxy Note 7 on one end and the iPhone 7 on the other end. But as we said, the battle took a different dimension this year as one of the contestants OEM sustained an unforeseen injury before the real battle began. And the more we want to write about this year’s smartphone battle between Apple and Samsung, the more the saying “the first shall be the last and the last shall be the first” keeps echoing in our mind. Remember that Samsung wanted to play smart in this year’s battle between them and Apple, by making every possible move to see that they launch the Galaxy Note 7 ahead of Apple iPhone’s 7 in order to start capturing the market first before the arrival of Apple’s iPhone 7. Though Samsung succeeded in launching their Galaxy Note 7 devices ahead of Apple’s iPhone 7, but you might already know what happened after that. Samsung grand plan backfired and they were inflicted with heavy injury as their Galaxy Note 7 devices hit the brick wall with battery explosion defect causing them a major setback. Since the launch of Samsung Galaxy Note 7 devices, there have been series of report and cases where the phone exploded and in fact the device is now more or less seen as a time bomb that can explode at any time. A recent report has it that a family jeep exploded as a result of defective Samsung Galaxy Note 7 devices. In other reports, some airline operators have implored their passengers not to make use or charge their Galaxy Note 7 while on-board, while some have totally banned passengers from moving inside the aircraft with any Samsung Galaxy Note 7. In the wake up of all the Galaxy Note 7 explosion woes and stories, Samsung itself decided to recall about 2.5million unit of the devices and have asked consumers to henceforth desist from using the device and should return it as quickly as possible for replacement. Definitely you should expect these entire events playing out on the Samsung new flagship device to take a deep slide on their markets this period and Samsung is now fighting Apple like an injured player. Apple with their iPhone 7 device positioned at the other end of the battle field might just be there smiling and relishing the Samsung woes as they seemed advantaged and will surely want to capitalize at this moment to capture the mobile market ahead of their fiercest rival. Finally, Apple laughed last, but currently, it seems they are laughing best; time will tell on the next direction their battle will be heading. so much information about Is Apple Happy With Their iPhone 7 Launch Amidst Samsung Woes On Galaxy Note 7 Explosion Defect? Related : Is Apple Happy With Their iPhone 7 Launch Amidst Samsung Woes On Galaxy Note 7 Explosion Defect?